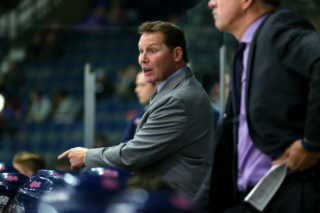 The Regina Pats dropped a 3-2 preseason decision in Saskatoon on Thursday night. The Blades scored twice in the first, Kirby Dach and Zach Ashton picking up markers, and the Pats trailed 2-0 after one. In the second, Garrett Wright got the Pats on the board with his second of the preseason and it was a 2-1 game heading to the third. Regina would tie it up on the powerplay when Wright made a great cross-ice pass to Robbie Holmes who scored his first and it was 2-2. However, the Pats found themselves down a man for a full five minutes late in the frame and Saskatoon would score to take the 3-2 lead and that was the final score. The Pats went one for five on the powerplay and the penalty kill was two for four. Matthew Pesenti and Carter Woodside combined to make 28 saves, while Garrett Wright led the offence with a goal and an assist. 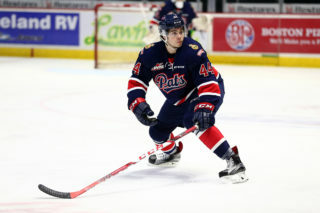 The Pats (3-2-0-0) will wrap up the preseason on Friday night at the Brandt Centre against the Prince Albert Raiders at 7 p.m.
Saskatoon – Kirby Dach (3) from Emil Malysjev and Jackson Caller – 3:04 PP. Saskatoon – Zach Ashton (2) from Brady Nicholas – 11:59. Regina – Garrett Wright (2) from Austin Pratt – 19:31. Regina – Robbie Holmes (1) from Garrett Wright and Marco Creta – 11:12 PP. Saskatoon – Brandon Machado (1) – from Jackson Caller and Michael Farren – 14:43 PP. – Carter Woodside and Matthew Pesenti combined to stop 28 of 31 shots in the loss. 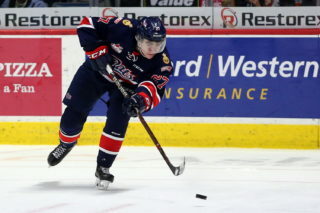 – Garrett Wright led the offence with a goal and an assist. 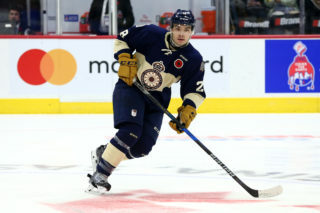 – Robbie Holmes scored in his first game back from Colorado Avalanche rookie camp. 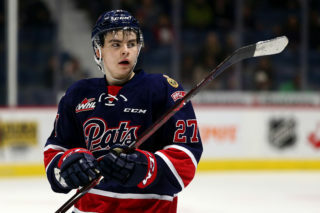 The Pats will wrap up the preseason on Friday night at the Brandt Centre against the Prince Albert Raiders at 7 p.m. Tickets are $10 and will be available by walk-up only.